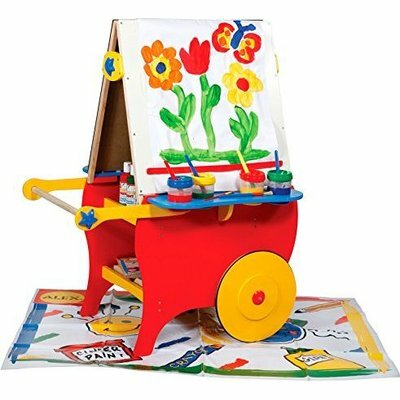 Easel is made of durable wood and has sturdy wood cup holders that will stand up to years of art and play. Rolling Art Center features rubber trimmed wheels that will not scratch floors. 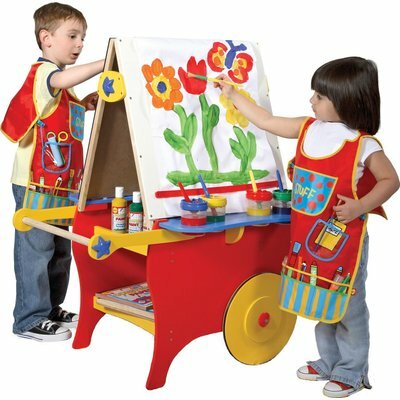 There is plenty of storage space on this easel that has eight cup holders and two shelves. 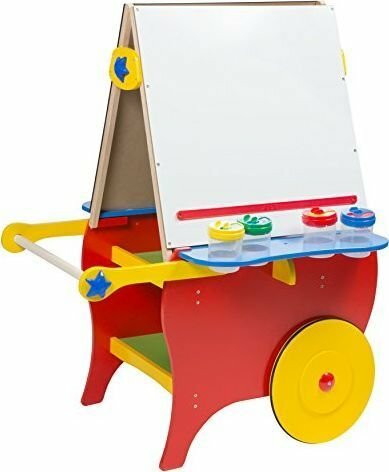 Features a magnetic dry erase board, a chalkboard, a paper roll holder with paper roll and child safe paper cutter. 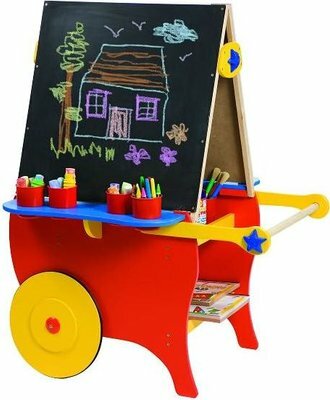 Winner of the Oppenheim Toy Portfolio's Platinum Award.